Information about the legislative and oversight committee on veterans’ affairs. Information and links concerning current topics and policies from the House of Representatives Committee on veterans' affairs. This is the VA’s main federal website with information about benefits, healthcare, burials, etc. The DAV Transportation Network provides transportation for veterans in need of health care. Contact Jeffrey Matthews at (585) 464-2661. The VOC is located at 459 South Avenue, Rochester, NY 14620. Their phone number is 585-546-1081 -or- toll free: 866-906-VETS (8387). This site provides information on benefits and services available to returning service members of Operation Enduring Freedom and Operation Iraqi Freedom (OEF/OIF). This is a helpful resource for vets seeking support and information on the Internet. The goal at Mesothelioma Guide is to increase awareness, education and support for patients with mesothelioma and their families. Helping Pleural Mesothelioma patients and their families find hope. We provide free information, resources and support to help you understand, fight and overcome mesothelioma. This guide has tips, tax benefits, detailed overview of federal tax exclusions, taxable benefits and the best way to apply for benefits. This resource is completely free for you to provide and use. This is a non profit organization founded by a military couple. Their purpose is to assist Active Duty military, Veterans and Wounded Warriors in finding temporary foster homes for their pets while deployed, in the hospital or during a move due to a permanent change of duty station. 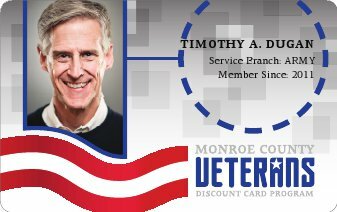 This website has everything you as an active military member or vet need to know based on their financial literacy guides. A service of CDS Monarch, Warrior Salute™ helps Veterans with Post Traumatic Stress Disorder, a Traumatic Brain Injury, and Military Sexual Trauma, regain their lives by providing quality clinical and rehabilitative therapies, employment opportunities, and temporary housing. A place where anyone can come to acquire financial information on finding the best products and services, saving money, making smart investments, and controlling personal finances. This guide will identify legal and financial resources available to citizens, seniors, and veterans, offer tips to hire the right home remodeler, and suggest modifications throughout the home to make the space as accommodating as possible.